The little village of Burubwax, about 20km south of Gondar, was a much anticipated destination on our trip through the north west Amhara region. We had been informed in Addis Ababa while drinking at various Asmari Bets (cultural music houses) that this is the root location of the infamous Asmari. We are often informed in Addis: so-and-so may be a great musician here, but they are not a ‘true Asmari’ as they were not born in Burubwax. 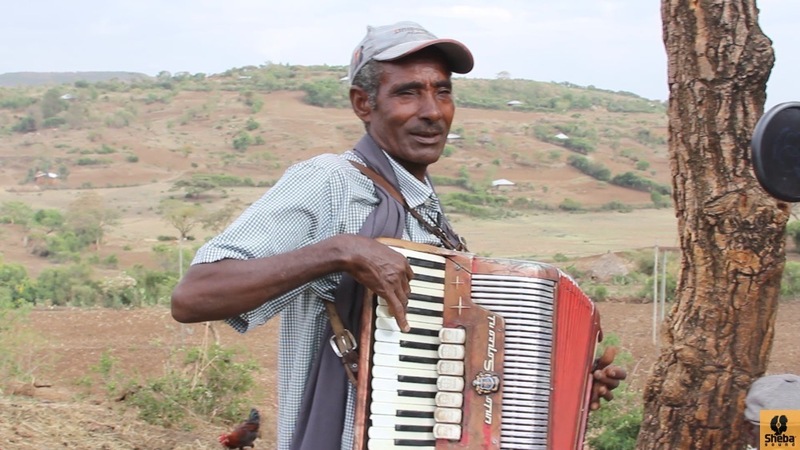 The Asmari are traditionally known in Ethiopia as travelling minstrels, who would bring news across the countryside by way of song and verse. Ethiopian monarchs and feudal lords would also keep their own Asmari in their courts. It is said that the Amsari not only kept people informed, but were the only people who were able to criticize their powerful employers without losing their heads. This was traditionally achieved through a literary practice know as ‘sem ena werku’ (wax and gold). This refers to the process by which a goldsmith melts the wax positioned within a clay mould, leaving a hollow space to be filled by molten gold. The wax denotes the obvious outer meaning, while the true hidden meaning of the words is the gold. The Asmari were therefore able to outwardly praise, whilst subversively criticizing. The recordings we managed to get over two days in July 2014 were, from the perspective of audio quality, a little disappointing, but visually and experientially fantastic. We blame much of what ensued over those two days on the Araki (local moonshine) with which we felt compelled to lubricate the artists, villagers and ourselves. The song here is a local Gondare song. Here’s a short clip of our visit to Burubwax.